Carey J. Nease, MD, is a triple board-certified, fellowship-trained facial plastic and cosmetic surgeon who performs a wide range of procedures with an exceptional talent in aesthetic surgery for the face and neck. Having trained as an artist before turning to medicine, Dr. Nease is renowned for his unique ability to paint beautiful portraits with his hands. Dr. Nease is certified by the American Board of Cosmetic Surgery, the American Board of Facial Plastic and Reconstructive Surgery, the American Board of Otolaryngology, Head and Neck Surgery. With 15 years of experience performing more than 10,000 surgical procedures, he consistently utilizes the most innovative techniques of laser technology, all with an unsurpassed commitment to excellence through surgical artistry. Dr Nease is currently serving as the Treasurer of the AACS and was the President of the ABFCS in 2018. 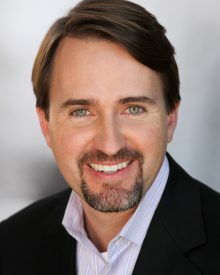 Dr. Nease is known for his experience, artistry, skill and technique in these popular procedures: face and neck lifts, rhinoplasty, blepharoplasty, breast augmentation, liposuction, tummy tucks, Botox and fillers, laser skin resurfacing and other cosmetic surgery procedures. Dr. Nease is a fellowship-trained, Board Certified Facial Plastic and Cosmetic Surgeon. Carey Nease, MD graduated from the University of Florida College of Medicine in 1998 and then spent 5 years training at the University of Oklahoma in the world-renowned head, neck and facial plastic and reconstructive surgery training program. In 2007, he completed an advanced cosmetic surgery fellowship program through the American Academy of Cosmetic Surgery. Dr. Nease is currently a Triple-Board Certified Cosmetic Surgeon with extensive expertise in facial rejuvenation, breast augmentation, fat transfer and laser-assisted body sculpting. In recent years, Dr. Nease’s research has been published in several prestigious surgical journals, and he has given numerous lectures and presentations to his peers across the country. He also trains other surgeons from across the country in the latest cosmetic surgery techniques.